Hormones Sing & DNA Dances. Your Hypothalamus is the maestro of your entire symphony of hormones, neurotransmitters, and immune factors. Your neuro-immune-endocrine system controls your moods, your memory, your sleep, your energy, your metabolism, your vulnerability to disease including cancer and autoimmunity, your digestion, your detoxification, your aging process. Whether you are in puberty or approaching the pause, either male or female, your health and well-being is determined by your hormonal balance. If you’re not dancing in perfect health, your hormones are out of tune. Why tune up each instrument, when you can support the maestro and heal everything? If you’ve tried every diet, every lifestyle change, every meditation, every supplement and still aren’t experiencing optimal health, this is the book you need! 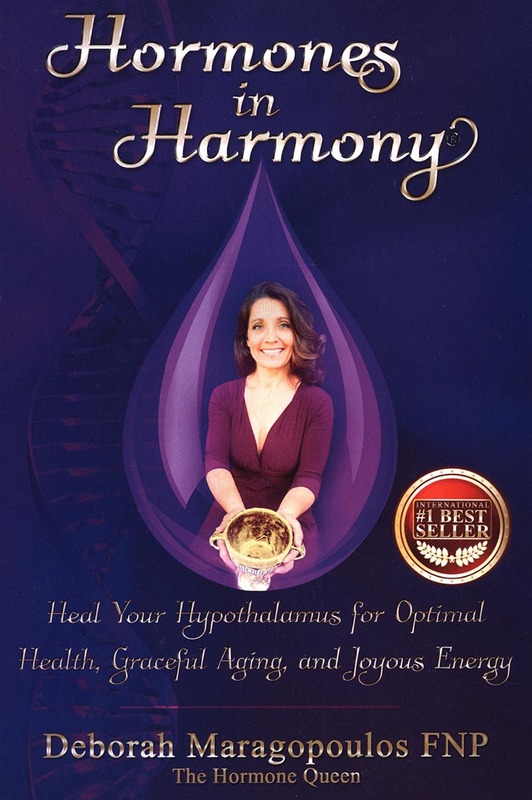 Hormones in Harmony® shows you how to balance Your Hypothalamus naturally to heal Your Body, Mind, and Soul! Intuitive Integrative Family Nurse Practitioner, Deborah Maragopoulos FNP, blends the Art of Healing with the Science of Medicine to uncover the root of your health problems and help you tap into your innate ability to heal.